Now you can enjoy a complete hard floor clean in one easy step. You get a clean, sanitized* hard floor without using a mop and bucket or harsh chemicals—all you need is water. Easy Touch Digital Controls let you switch between functions while cleaning so you can vacuum and steam at the same time or separately to match the right clean to the right situation. 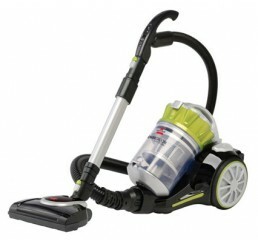 Save time by vacuuming debris and steaming hard floors at the same time. Put away the dirty mop and bucket and skip the harsh chemicals. Sanitize with steam, using just water to eliminate 99.9% of germs and bacteria*. Skip the broom and dustpan and let the Powerful Cyclonic Action vacuum clean away fine and large debris. Easy to use with Easy Touch Digital Controls, 5-way adjustable handle, and Quick-Release Mop Pad Tray. 3 ways to clean—vacuum or steam separately or use both at the same time. Dry Tank Technology keeps your tank dry while you steam. Powerful handheld suction. 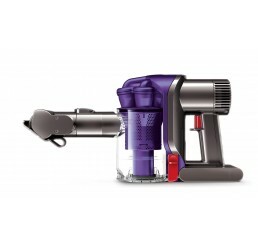 Dyson digital motor V6 generates powerful suction. 2 Tier Radial™ cyclones capture more fine dust. Up to 20 minutes of fade-free suction power. 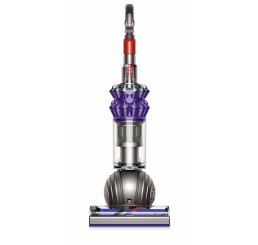 Dyson's multi-floor upright vacuum is here to make cleaning easier. 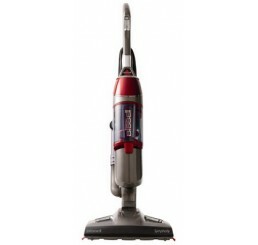 Made for tough tasks, this vacuum features a self-adjusting cleaner head and a re-engineered brush bar that cleans both carpets and hard floors. 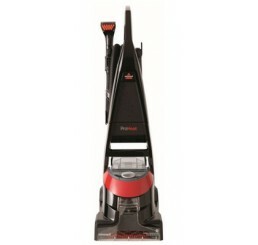 It's also equipped with bristles that dig deeper into carpets to remove dust and dirt.